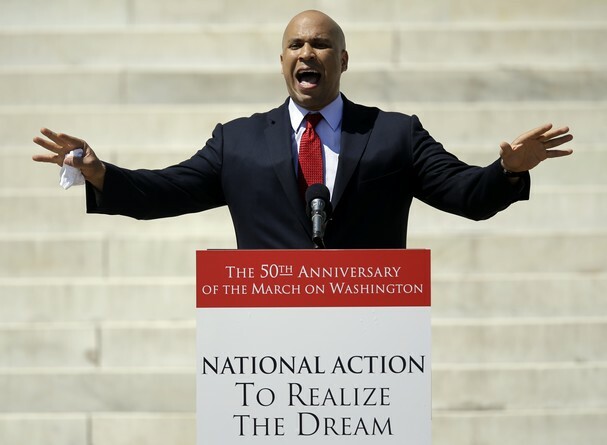 Cory Booker, Mayor of Newark, N.J., speaks at a rally to commemorate the 50th anniversary of the 1963 March on Washington on the steps of the Lincoln Memorial on Saturday, Aug. 24, 2013, in Washington. 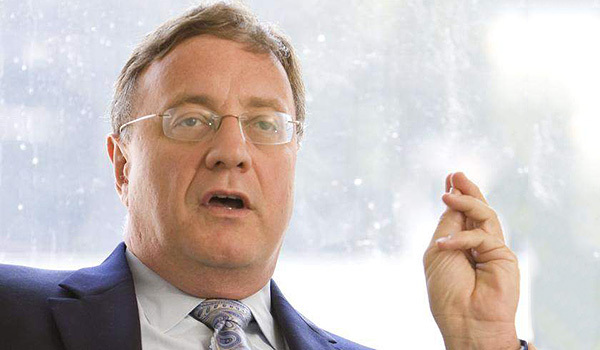 “I personally like being a guy,” Lonegan told Newsmax. Speaking with HuffPost Live on Wednesday, Booker – the Democratic mayor of Newark, New Jersey – said that sentiment amounted to a prejudiced view of gay men. “That kind of callous, bigoted disrespect to gays and lesbians just shouldn’t be tolerated,” he added. “That’s my fetish but we’ll just compare the two,” Lonegan said. But Booker argued his rival had adopted a misguided view of masculinity. “The thought that what defines manhood is the drink that you drink or cigar that you smoke, I think that he just really misses the boat on what it means to be a man in America,” he said. Polling in the contest indicates Booker is the heavy favorite to win the October 16 special election. According to a Fairleigh Dickinson University survey released Thursday, Booker held a 50%-22% lead over Lonegan among registered voters. The winner will serve the remainder of the late Sen. Frank Lautenberg’s term. oh this is too funny, slap him Cory!! Here it is almost 2014 and this fool is making these kinda comments – and trying to run for office on top of that? Really? No Cory doesn’t have to say or do anything… It’s already done. Lonegan is DONE!